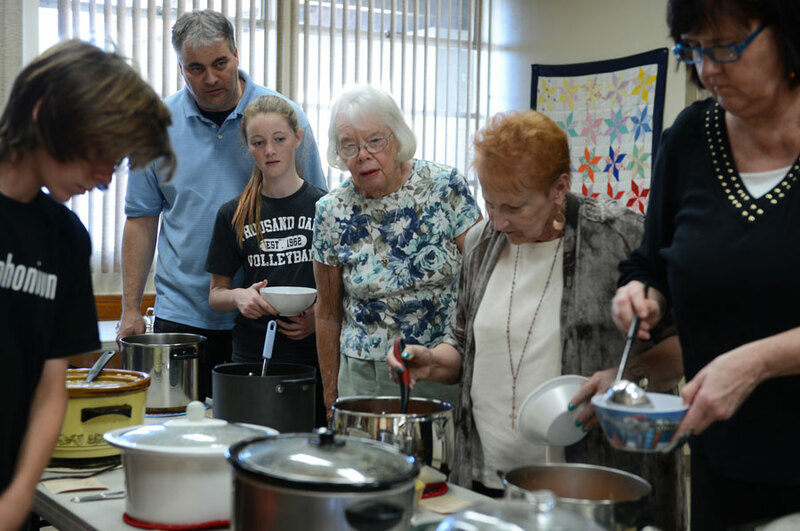 Throughout the several weeks before Easter (the Christian church traditionally calls this period of time “Lent”), members and friends of Holy Trinity meet for weekly soup suppers. We take the opportunity of this reflective religious season to gather together and grow closer as a community. One of our faithful church members, Colleen Hill, has graciously led this ministry for several years. If you would like more information about our soup suppers, please contact the church office.